My primary interests include primate evolution, geometric morphometrics, osteology, and primate skeletal morphology, and variation in Old World monkeys. I have done collections work at the Smithsonian National Museum of Natural History, Chicago Field Museum, Harvard Natural History Museum as well as institutions in South Africa, Ethiopia, Kenya, Switzerland, France, and the UK. I am also affiliated with the Gona Paleoanthropological Research Project in Ethiopia. My dissertation is focused on functional morphology of fossil colobine monkeys from East Africa and using this information to better understand and reconstruct the paleoenvironments of these regions. 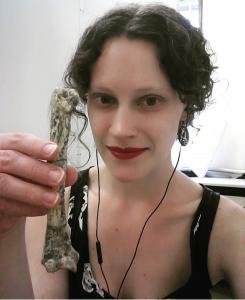 My work is very comparative and incorporates extant and fossil skeletal collections, environmental markers, and behavioral data to better answer my questions.